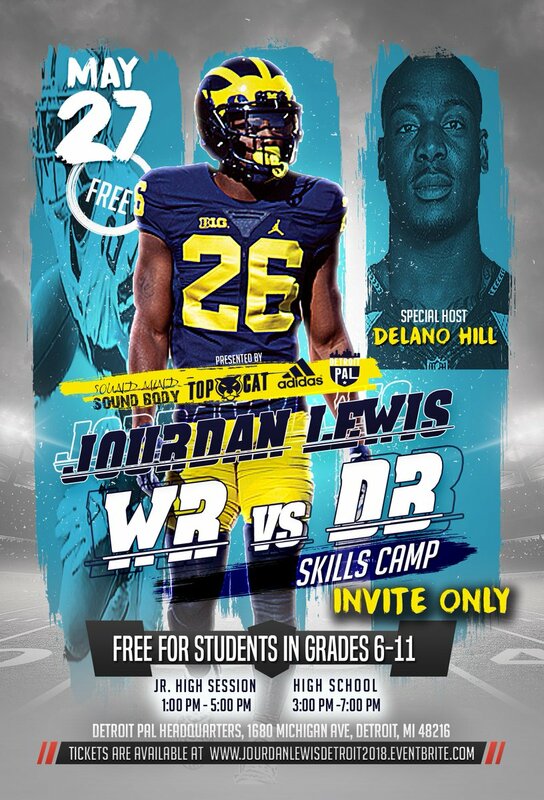 DETROIT – Sound Mind Sound Body Football alumnus and Dallas Cowboys defensive back Jourdan Lewis will host a skills camp Sunday at the Detroit PAL headquarters. 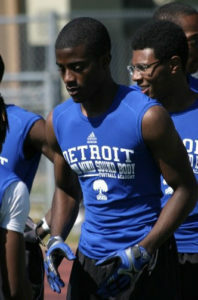 Fellow Detroit Cass Tech and University of Michigan alum Delano Hill will serve as Lewis’ co-host for the event. The event will be sponsored by adidas, which will provide every camper with football cleats and gloves. The talent-loaded camp will feature 19 wide receivers, 21 defensive backs and three quarterbacks with scholarship offers. 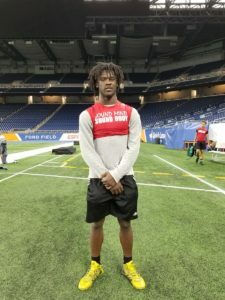 The top wide receivers expected to attend are Detroit King’s Rashawn Williams (class of 2020) and a trio of wideouts from West Bloomfield in Tre Mosley (class of 2019), Donovan Edwards (class of 2021) and Christian Fitzpatrick (class of 2020). Williams has offers from Michigan, Michigan State and Ohio State, among others. Mosley has offers from U-M, MSU, Boston College and Minnesota, among others. Edwards has offers from U-M, Kentucky, Pittsburgh, Missouri, Purdue and Syracuse. Fitzpatrick has offers from Central Michigan, Louisville, Indiana, Illinois, BC, Oregon and Syracuse. 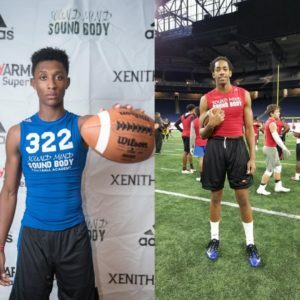 The top defensive backs expected to attend include West Bloomfield’s Makari Paige (class of 2020), Detroit King’s Marvin Grant (class of 2019) and a talented duo of DBs from Belleville in Julian Barnett (class of 2019) and Andre Seldon Jr. (class of 2020). Barnett is committed to MSU, while Seldon has offers from Iowa State, Kentucky and Syracuse, among others. Additionally, Paige has offers from 13 schools, including U-M, BC and Indiana, while Grant has offers from Cincinnati, Kentucky and BC, among others. The top quarterbacks expected to attend are Oak Park’s Dwan Mathis (class of 2019; committed to MSU), Walled Lake Western’s Sam Johnson III (class of 2019; committed to BC) and Detroit King’s Dequan Finn (class of 2019; committed to Central Michigan). The day will be divided into a junior high session from 1-5 p.m. and a high school session from 3-7 p.m., and also feature a life skills presentation made by Lewis and his former Detroit PAL coach, William Tandy. The Detroit PAL headquarters are located at the former site of Tiger Stadium at 1680 Michigan Ave.
Maliq Carr Oak Park 2020 WR Iowa, Kentucky, Alabama A&M, Boston College, Iowa St.
Jevan Swanigan Detroit Cass Tech 2019 WR Seton Hill, Old Dominion, Norfolk St.
Dwan Mathis Oak Park 2020 QB Committed to Michigan St.
Kamal Hadden River Rouge 2019 DB Central Michigan, Youngstown St.
Julian Barnett Belleville 2019 DB Committed to Michigan St.
Ray Williams Detroit King 2019 DB Davenport, Youngstown St.
Kalen King Detroit Cass Tech 2021 DB Iowa St.